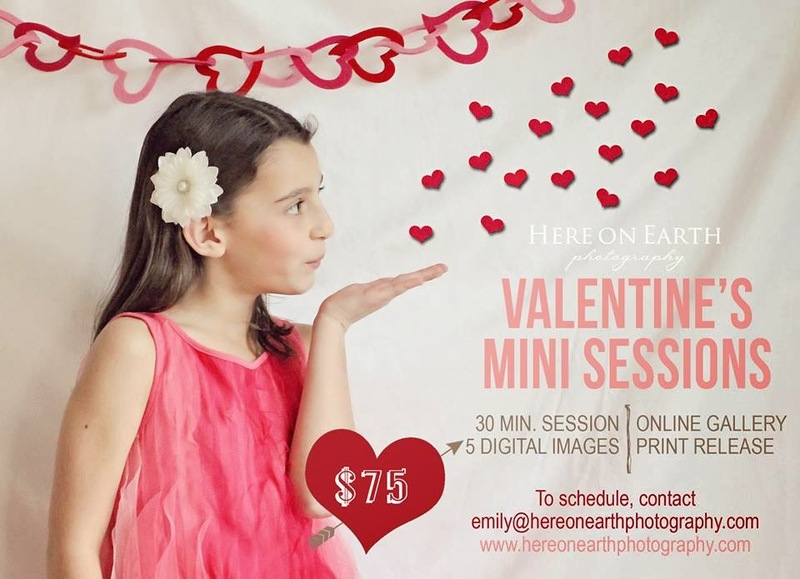 Here On Earth Photography Valentine's Mini Sessions! Now through the end of January, my friend Emily Main of Here on Earth Photography is offering Valentine’s mini sessions. This is a wonderful way to celebrate relationships and surprise your family by immortalizing your love in a beautiful print. Sessions must take place in the Buford, Dacula, Flowery Branch area. Contact Here on Earth Photography asap if you are interested in reserving a spot!